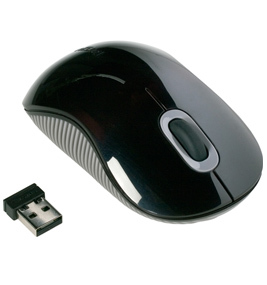 The Targus AMW51AP is an ergonomically designed wireless mouse that can be used with laptops as well as desktops. It features a 1200 dpi laser sensor that smoothens out movements and improves accuracy to a great extent. Moreover, its 2.4 GHz frequency gives it an operating distance of up to 33 feet. The mouse features a very lucid design, where the bottom half sports a soft rubberized layer that provides superior grip and comfort.